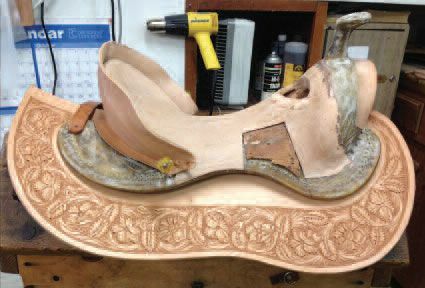 Many commemorative pieces have been created in the past year in celebration of Nevada’s 150th Anniversary of Statehood but the Sesquicentennial Saddle, a legacy project, showcases craftsmanship from one of the oldest professions. 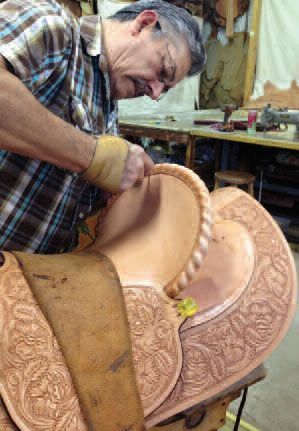 Leather and saddle craftsman Armando Delgado, of J.M. 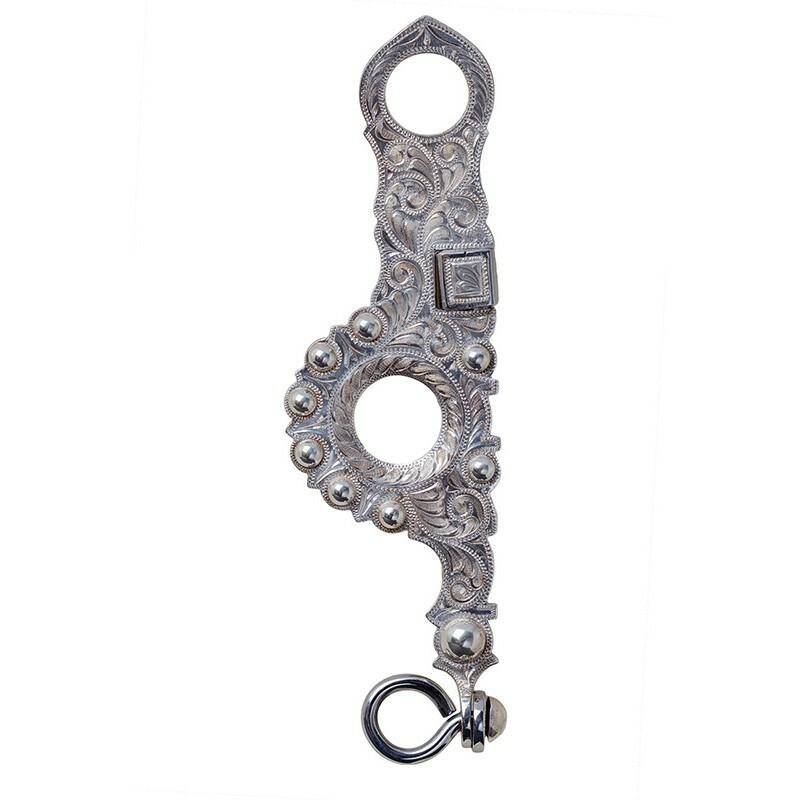 Capriola Co., spent roughly 600 hours hand crafting the one of a kind saddle and Nevada silversmith Mark Dahl, designed and created the silver work. 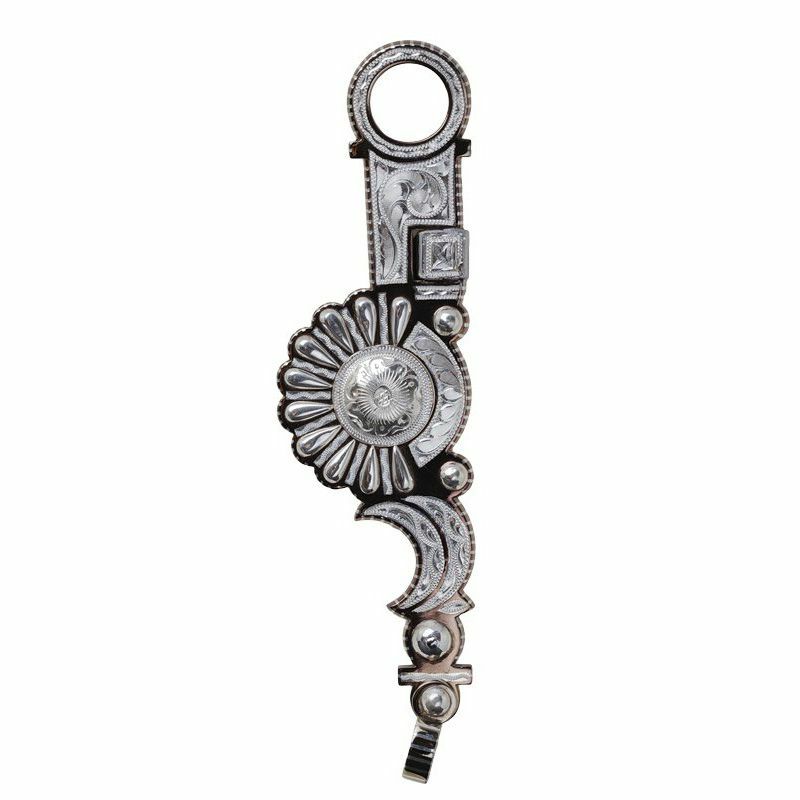 The Capriola Weatherly, 6 flower hand crafted saddle features a full floral hand stamped design on a weatherly tree, sculptured rope and silver straight up cantel with a rope and silver sculptured front fork, hand engraved sterling silver conchos and the Sesquicentennial medallion series across the back of the seat with a logo medallion on the saddle horn. In addition, the Nevada 150 logo is prominently displayed on both fenders. 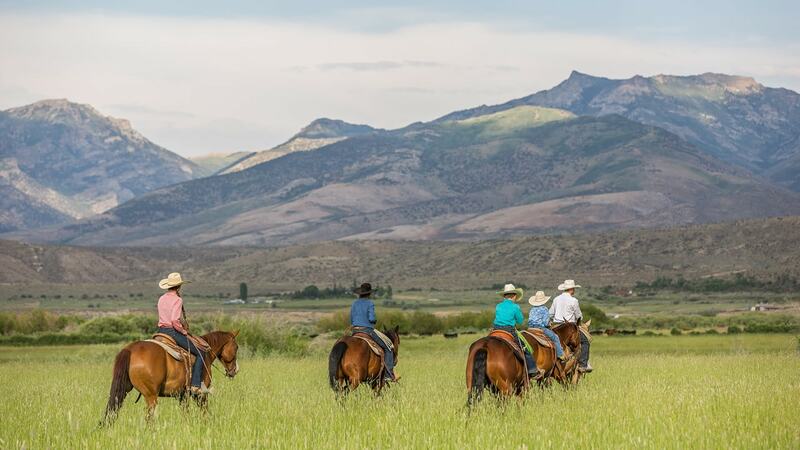 Capriola’s generously donated their time creating the saddle in celebration of Nevada’s Sesquicentennial. 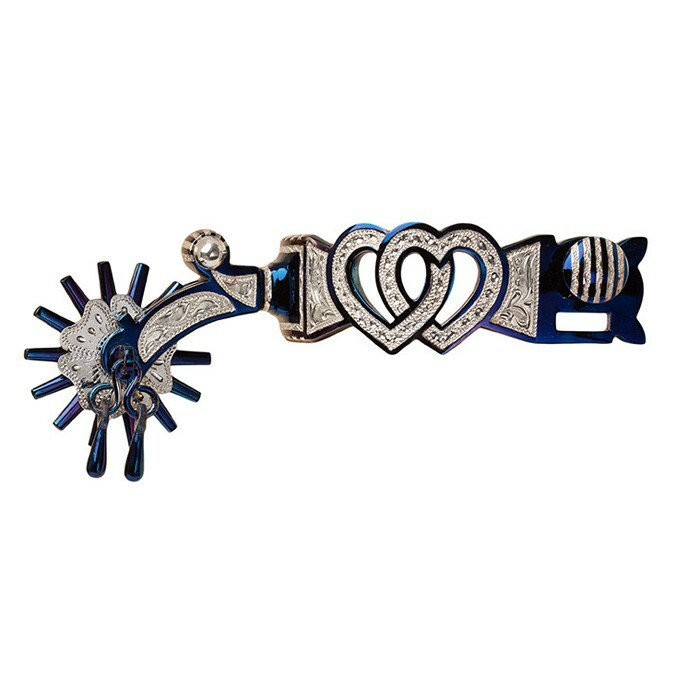 The saddle is highlighted by the GS Garcia leather stamp centered between the four medallions, made available by GS Garcia’s granddaughter, Dee Dee Garcia- White. Garcia’s most famous saddle brought home the gold medal from the 1904 St. Louis World’s Fair. 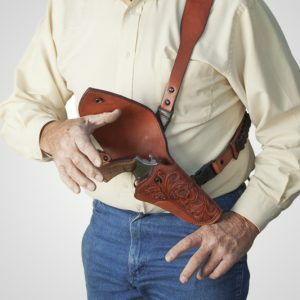 The stamp has only been used on a very limited basis since her grandfather passed away and this will most likely be the last time it will be made available, making this saddle a priceless piece of history. J.M. 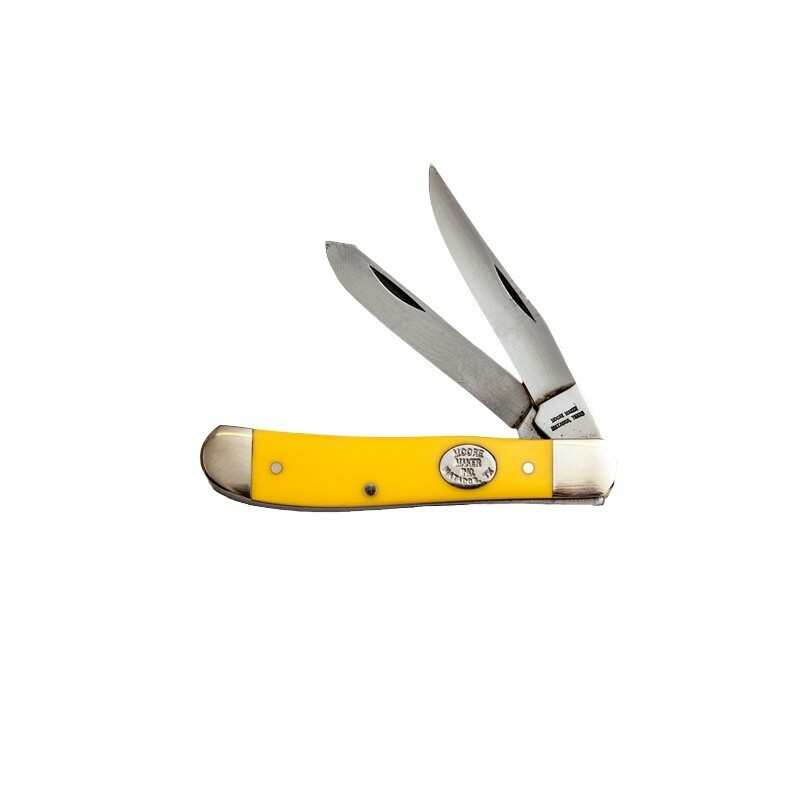 Capriola Co. was opened in 1929 by one of GS Garcia’s apprentices, Joe Capriola. 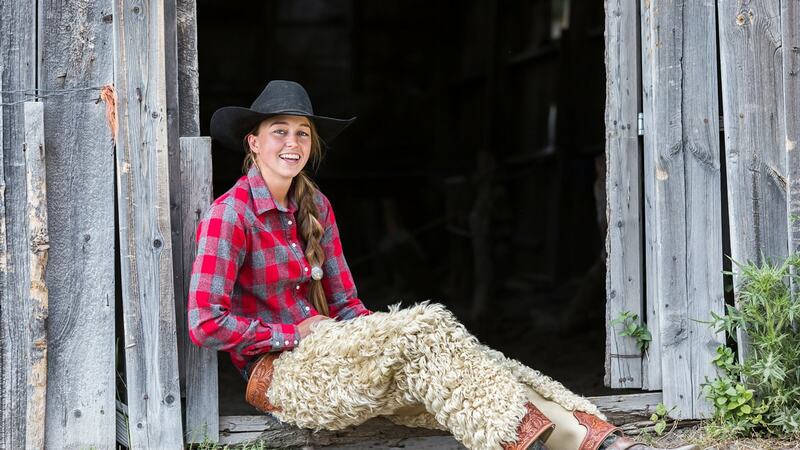 The saddle will be on display at various events around the State for the next year including the Elko Nevada Day Parade, the Nevada Day Parade in Carson City, National Finals Rodeo in Vegas as well as at Capriola’s in Elko. At the 151st Anniversary of Nevada Statehood, the saddle will be donated to the Nevada State Museum in Carson City for permanent display. The Nevada State Museum in Carson City has both the 1904 Garcia Saddle and the Halsey Saddle on display and these were the inspiration for the creation of this “Legacy” project for the sesquicentennial. 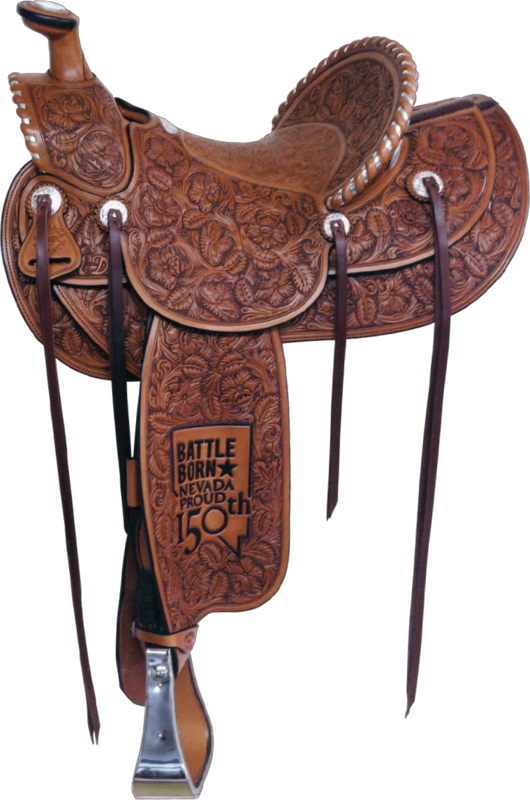 The saddle was created in celebration of Nevada 150 by the Elko Convention and Visitors Authority, J.M. Capriola Co. and Dee Dee Garcia-White. 150 Nevada’s Sesquicentennial, the 150th anniversary of Nevada’s admission to the Union, provided opportunities for celebration and reflection as we came together statewide to commemorate our shared history and build a foundation of cultural appreciation for generations to come. Nevada’s one of a kind and diverse history was celebrated throughout the state for an entire year in order to promote pride in the shared heritage of all Nevadans. Nevada’s Sesquicentennial celebration commenced on Nevada Day 2013 and concluded with an expanded Nevada Day celebration October 2014. For more information, please visit www.Nevada150.org.